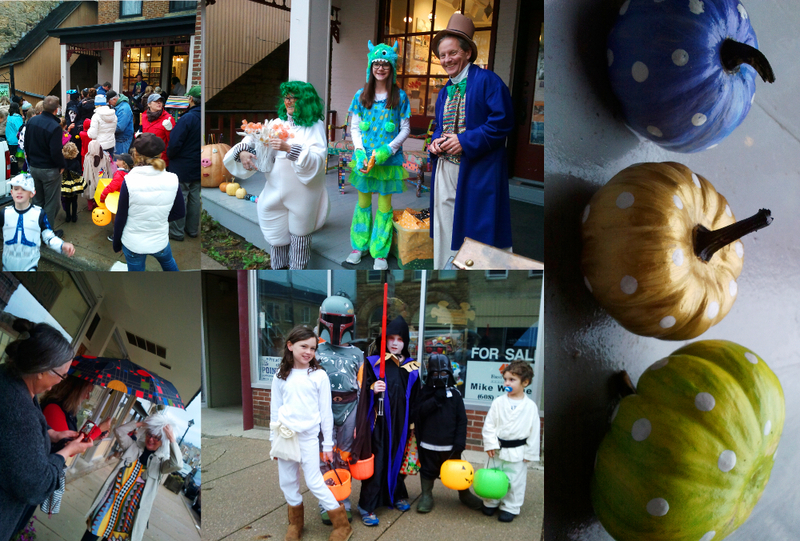 The Mineral Point Halloween parade is a favorite of mine. I look forward to it every year. One time, I was only two minutes late and it was all over! There were many adorable kids and grown-ups in costume. The line-up looked like this: first a town cop drove in front, then the flag twirlers came by, next was the middle school band, then the kids in costume came by with their parents. I recognized fellow High Street Beat contributor, Susan, in her skeleton get-up. The Hays looked just perfect in front of their High Street Sweets porch. Lisa dressed as an Oompa-Loompa, Don was Willy Wonka, and their daughter Zoe was a cute green and blue monster. Cheers! 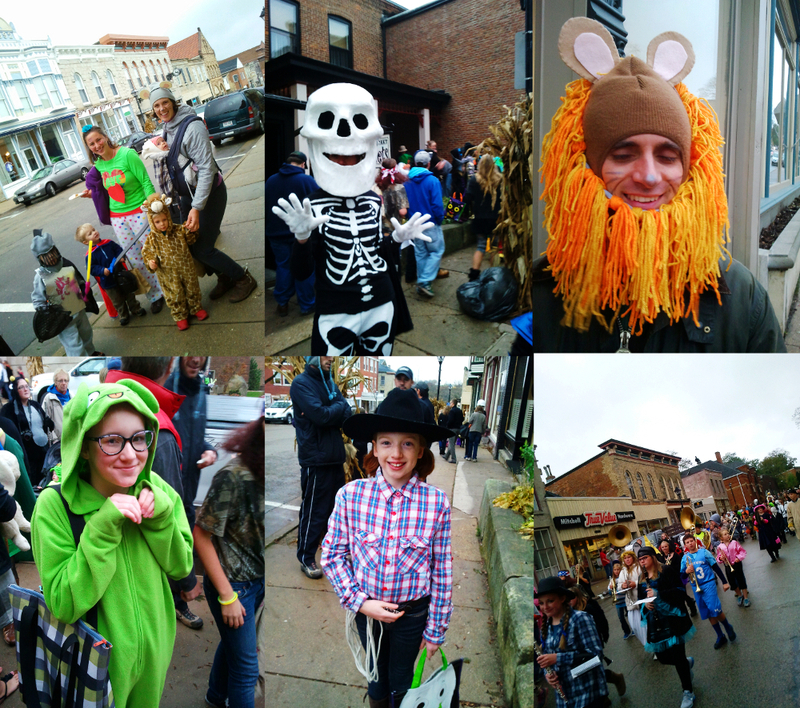 This entry was posted in Entertainment, Family, People and tagged costumes, Halloween, Leslie Damaso, Mineral Point, Parade. Bookmark the permalink.